The club is minutes from junction 7, M6 and is 50 metres from Asda Queslett. The Club boasts a large car park with an overspill car park next door at Powerlex and Meat World. 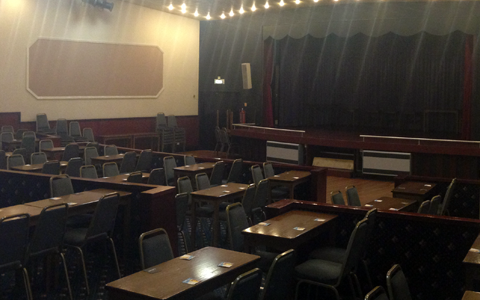 Disabled access is available to all parts of the club with ramps, lifts and toilets. We have regular top artistes to entertain you and have many activities for you to get involved with including snooker, darts, dominoes, dancing, chess and fishing. Alternatively, why not come along to watch the latest sports on our large screen TV. Drinks are at consistently competitive prices and we boast a very good quality pint. We have various events planned, please see our Entertainment page on this website and our Face Book page, for more details. In 2018, we are looking to add more diverse entertainment to encourage a wider audience to the Club. There will be more focus on ‘Big Saturday Night Shows’ plus more themed and tribute nights. So do come along, there is always something going on and we very much look forward to seeing you soon.